With the hectic time that is life lately, I haven't had much of an opportunity to post anything to my slightly neglected blog, so forgive me as this post should've gone out weeks ago! 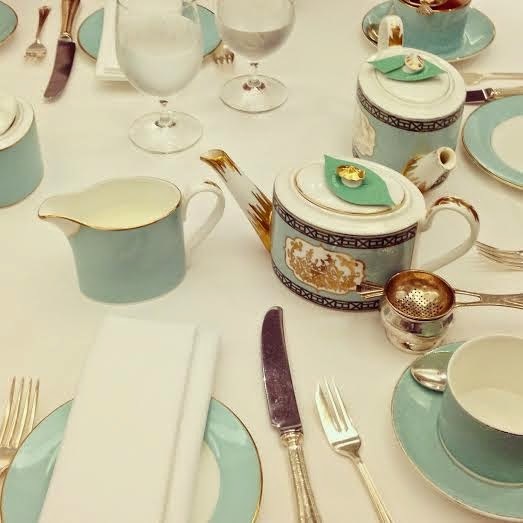 Back in October during half term break, I went for a wonderful afternoon tea at London's famous Fortnum and Mason Diamond Jubilee Tea Salon. 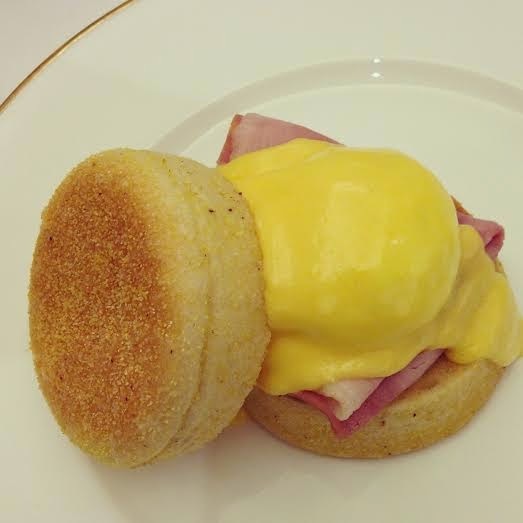 Although I have been to a number of afternoon teas before, this one was a little different as I opted for the high tea- replacing traditional finger sandwiches with the British classic of Eggs Benedict! 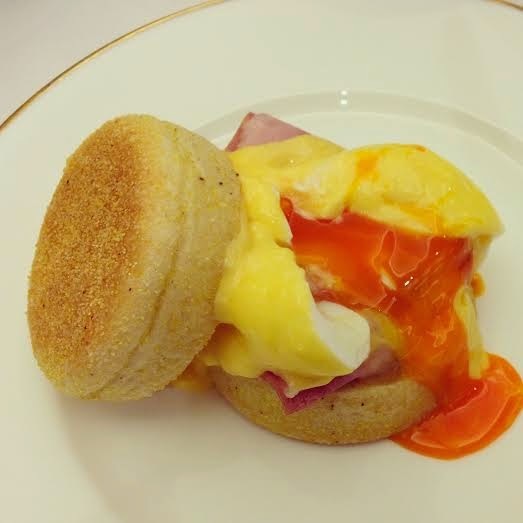 Served on a muffin with thick cut British ham, the eggs were cooked perfectly with the most vibrant of yolks and creamy hollandaise! 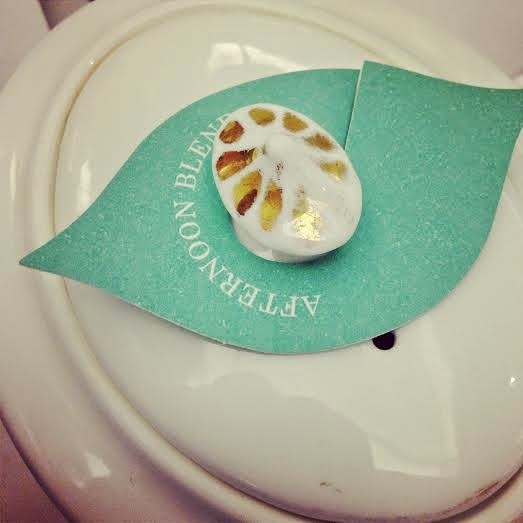 Next up was the selection of sweets! Scones, macaroons, eclairs and chocolate yumminess! There were two types of scone- plain and fruit (the latter is which I'm more partial to) which were served with Somerset clotted cream and a selection of preserves. Traditional raspberry is always my favourite- fruit scone, layered first with cream then topped with raspberry jam, delicious! I also tried lemon curd on a scone for the first time and I have to say the bitterness of the curd mixed with the sweetness of the cream was a combination to die for! The selection of sweets from the cake carriage were just as satisfying - from a rose flavoured eclair to a chocolate and gold leaf cheesecake! I was in sweet treat heaven! 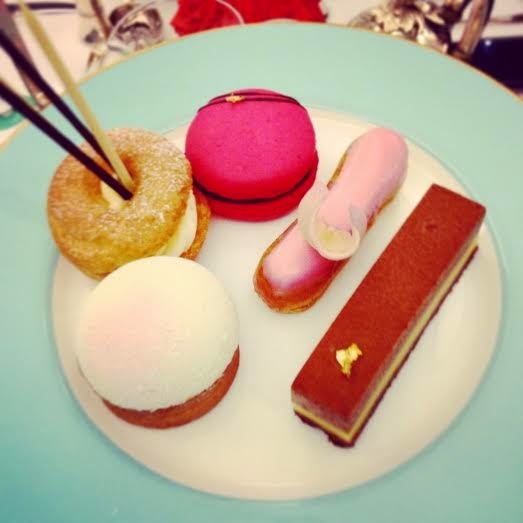 Of course all of the above was washed down with Fortnum's traditional afternoon blend tea! 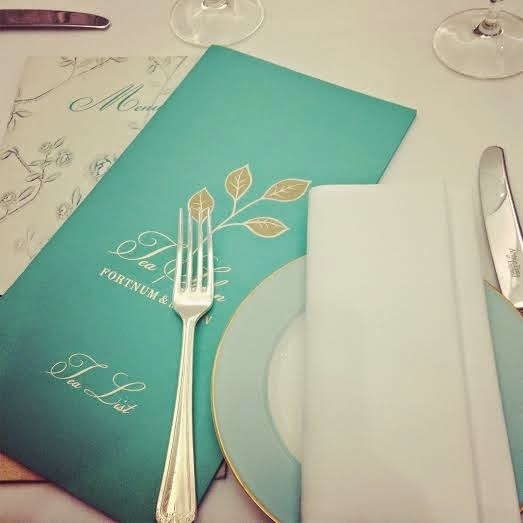 With such wonderful menu choices, the scummiest of cakes, the high-end setting and marvelous atmosphere (made even better by a musical interlude from the in-house pianist) Fortnum and Mason really know how to deliver an exquisite afternoon tea experience!